It’s not quite crunch time just yet. But it’s going to be soon and we all are going to get that deer in the headlights look when we realize a teacher, a neighbor, we forgot someone on our list. Not to worry! 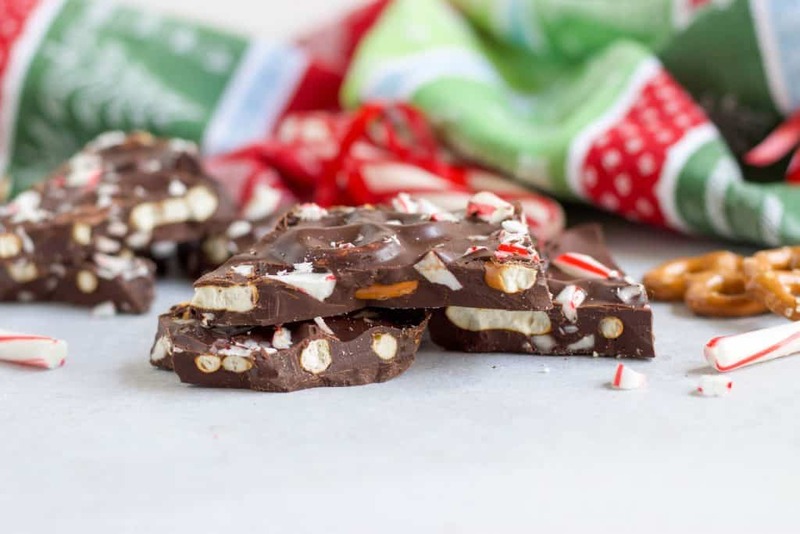 This new Dark Chocolate Candy Cane Pretzel Bark is stupid simple to make and makes a tasty gift. And if this one isn’t your thing, I have 5 of my very favorites from past years that have been perfect presents without any sweat! 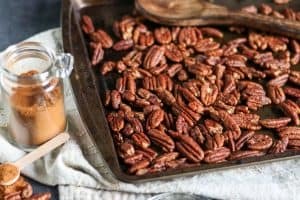 I love a good bark, super simple and and easy. Its a melt, stir and pour kind of recipe. And that is the way I like it! 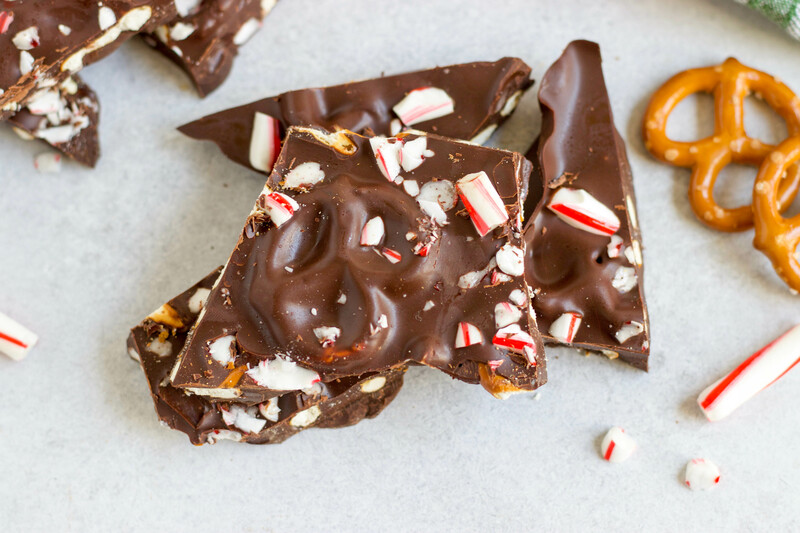 Two of my favorites, if you have already had more than enough mint chocolate this season, are my Dark Chocolate Peanut Butter Bark (duh, of course that’s one of my faves!) I love that one as well because it looks so pretty with the peanut butter swirls. 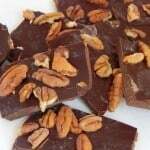 And I also love a good Sea Salt Almond Dark Chocolate Bark. It was my favorite Bark Thin flavor so I had to make my own! But this Holiday themed bark I bring you today is loaded with salty pretzels and crunchy crushed up candy canes. A hint of peppermint extract rounds it out perfectly. The other amazing part about this recipe?? 4 ingredients. Yep. 1, 2, 3, 4. That’s. It. And then once it’s all ready, you break it up into pieces, put it in a pretty box with a sparkly Christmas bow and you are set. That is, unless you sample too much of it while you make it and then have to make another batch before you actually get to the gift giving part. Been there! Place candy canes in a plastic bag and crush using a wooden spoon. Line the bottom of an 8x8 pan with parchment paper and then spread pretzels evenly. Once melted, remove from heat and add peppermint extract and half of the candy canes and stir. Pour slowly over pretzels and shuffle pan in all directions to help spread. Sprinkle remaining candy canes on top and freeze for about 30 minutes. Once bark has hardened, break into pieces and enjoy! 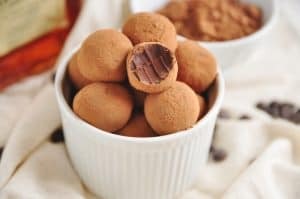 I have made these babies every year since I started the blog and have always come home with zero left. That’s the way it should be done! I make several batches and then put them into mason jars with some decorative bow and hand them out as gifts. And trust me they are always well received. Maple, vanilla and cinnamon. Need I say more?? 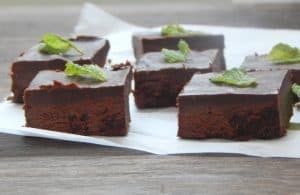 The recipe says ‘clean eating’ since that is certainly how I started out, but no matter, these are amazing. The versatility is what’s best. 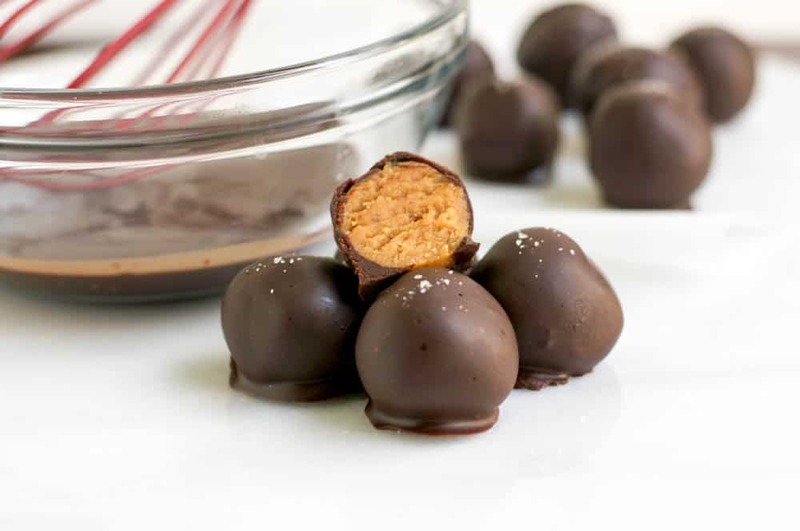 These can be truffles, Reese’s Eggs, Buckeyes–they morph into whatever occasion you need them to be. I have been making them lately using the flour and maple versus the dates. One less dish to clean is really the main reason. I know, I know, lazy, but I love them all the same! The fewer ingredients, the simpler a recipe has to be automatically, right? Yes, that’s right. I LOVE amaretto. I used to keep a small bag of amaretto coffee in my car as my air freshener because I loved the smell so much. True story–not sure who would make that up. These are the melt in your mouth sort of treat that makes you want to sit back and just slooooow down. 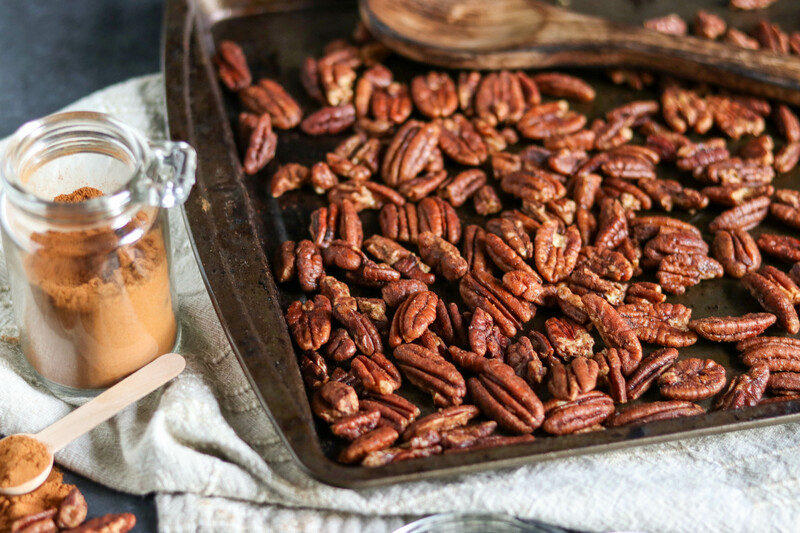 A bowl of these to pass around at any holiday gathering will certainly be happily received! I know I come at you each holiday season with a lot of mint chocolate combos, but I really just can’t get enough. This is my pumpkin spice latte if you catch my drift. 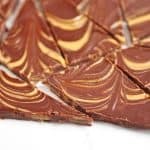 The beauty of this fudge is that it is literally done in probably under 5 minutes, but who’s counting. You whisk and freeze–that’s a breeze. And just like the truffles, this one is also melt in your mouth. 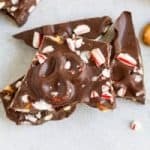 I have several puppy chow recipes here and the latest, Dark Chocolate Peppermint Puppy Chow takes the cake for me. 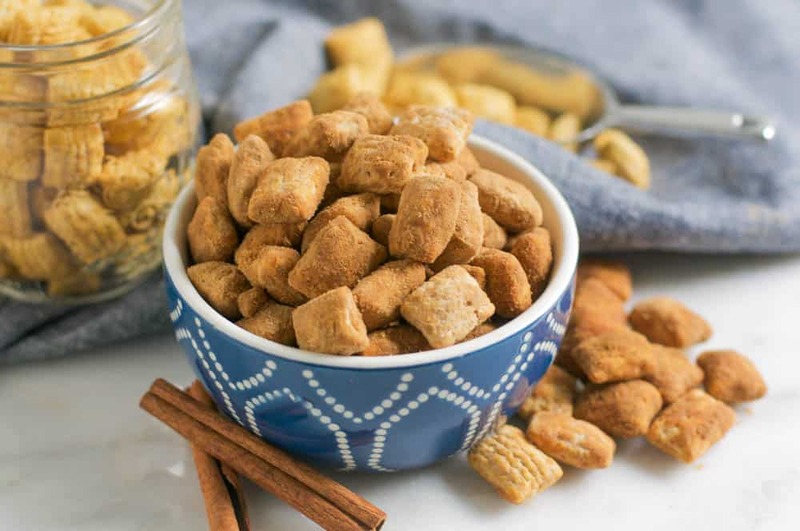 (mint + chocolate = 😉 ) But this Churro puppy chow is kind of like a snickerdoodle in munching form. Mind you, regular powdered sugar is perfectly fine versus the homemade powdered sugar on the recipe. Do you this season, don’t worry about a little bit of the white stuff! Same here, I mean, who isn’t?! How easy and festive is this? Love how easy it is. The salty chocolate combo is always a winner in my book.